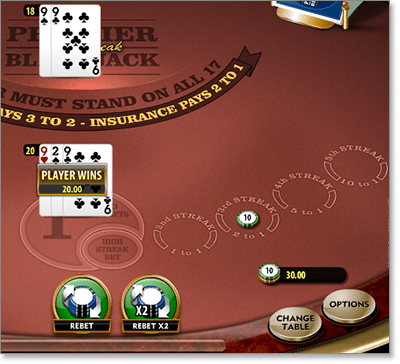 The High Streak blackjack side bet awards a progressive bonus payout when you win several hands in a row. This allows us to really make hay when the sun is shining, as longer winning streaks get you bigger returns. Here, we will go through the rules and regulations of the side wager, how taking the bet alters the house edge, and where international 21 fans can enjoy real cash High Streak blackjack online. Our trusted gambling sites all offer secure online High Streak 21, along with dozens more Internet blackjack varieties and all kinds of side bet options. Our number one real cash casino at Blackjack.com.au is Royal Vegas, which is powered by Microgaming – the world’s leading developer of online gaming software. RV allows blackjack players to make hassle-free deposits and withdrawals using safe transaction methods such as Visa, MasterCard, Neteller, Skrill and Paysafecard with all transfers kept under virtual lock and key by 128-bit SSL (Secure Socket Layer) digital encryptions. And if you sign up today for real money casino gaming, you can get up to $1200 free casino credits. There are a few variations on the High Streak wager, with some land-based casinos – such as Caesers in Atlantic City, New Jersey – sporting unique pay charts. But High Streak BJ is not especially common at offline gambling venues, so here we will focus on the payout rules found at most Internet casinos which accept real money. Like all blackjack side bets, the High Streak is an optional punt made alongside your initial wager before the start of the hand. But whereas most 21 side games focus on incidental outcomes like the suits of your cards or whether you draw any Sevens, the High Streak bet is all about whether or not you win the round. To play the side bet, you must place a wager in the section labelled “High Streak” behind or next to the standard betting box. 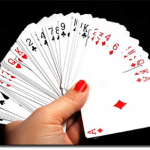 You cannot make the side bet without also playing a standard blackjack wager. If you win that first hand, the High Streak becomes activated; if you lose, the side game is over and you get nothing in return. For the following hand, the chips making up your side wager are moved to the “Second Streak” bet box. If you beat the dealer again, your bet graduates to the “Third Streak” box – and so on and so forth, up until you reach the final “Fifth Streak” box. If at any point you lose a hand, the streak is over and you must start again with a new side bet. All ties push, so you keep your spot in the sequence but don’t win a payoff. With a maximum stake of $25 and a top payout of 10 to 1, we can win up to $250 on the side game alone in High Streak Premier Blackjack Gold. But what are our realistic chances of taking home the bacon here, and is there any trick or tactic that can help us turn the odds in our favour? If you are at all familiar with the numbers behind blackjack sidebets, then you will know they are notoriously bad value for the player. Unfortunately, the High Streak side game is just another culprit, as the payouts listed above are extremely short compared to the true odds for each outcome. Overall, we estimate the house edge on Microgaming’s High Streak pay table to be about 4.55 per cent. That may not seem like an enormous figure compared to the edge on electronic poker machines or American roulette tables, but remember that blackjack games traditionally favour the dealer by less than 0.50 per cent. 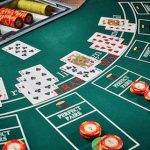 Hence, a swing of more than 4 per cent towards the casino is enormous in a game that is famed for being relatively player-friendly. Is there any way to improve these odds and increase our chances of success? Not really, is the short answer. Card counters playing at land-based casinos may have some luck, as the High Streak format is well suited to jumping in and taking advantage of a hot deck. Perhaps that is why High Streak 21 tables have always been difficult to find at brick-and-mortar gaming venues. In any case, the advent of continuous shuffling machines (CSM) severely limits the effectiveness of card counting at live blackjack tables, while the random number generators (RNG) used in online gambling render such tactics all but useless. So here’s our best bit of strategic advice: if you want to make money in the long run, forget playing the High Streak wager. The odds just don’t stack up, and the potential rewards aren’t so grand that you can overlook the statistical futility of such a bet. But if you’re not interested in grinding out profits and just want to have some fun, this is definitely one of the more entertaining side bets out there.